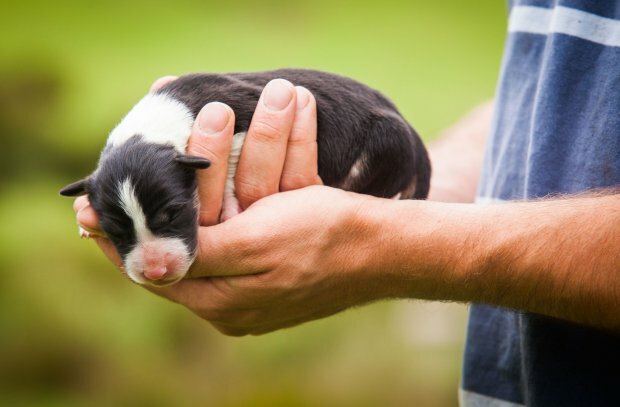 A pair of two-day-old teeny tiny puppies have been saved from a raging barn fire. 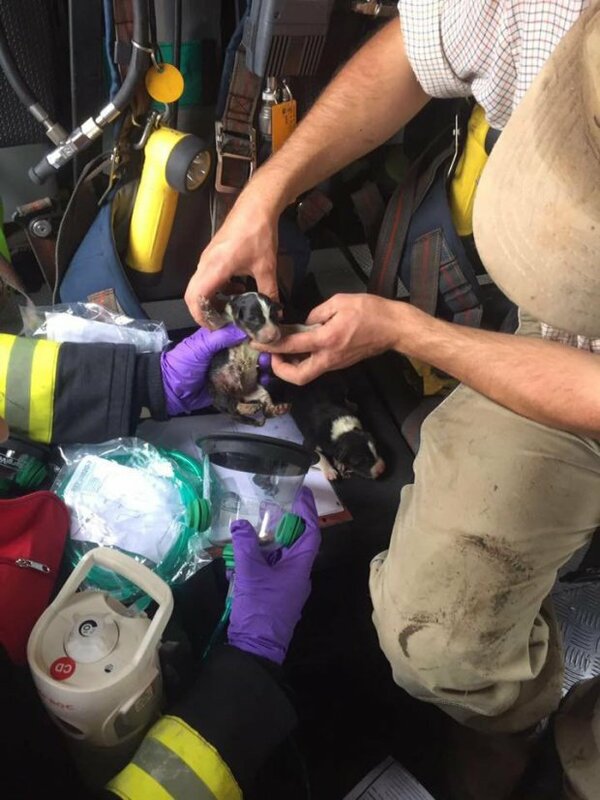 The two dog babies were close to death, but were rescued thanks to a pair of pet-friendly oxygen masks. Firefighters gently held their faces inside the special masks, which had recently been donated by a charity, and slowly brought them back to life. 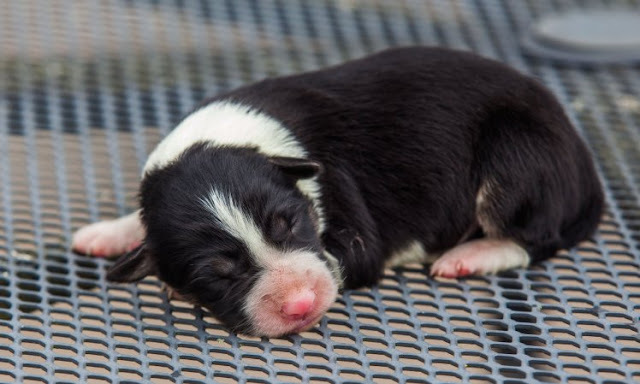 Sadly, however, three other puppies lost their lives in the blaze that ripped through the small barn in Bovey Tracey, Devon, on Monday. Both animals have now been taken to a vet for further treatment, and one of the puppies has even been called Blaze in honour of his death-defying experience. Fortunately their mother also managed to escape the barn unhurt. 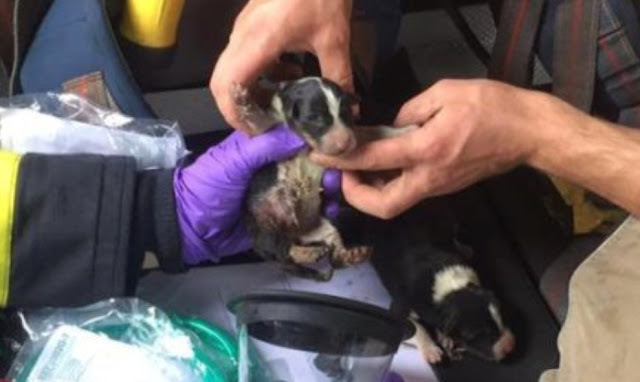 ‘We have only had this vital kit for a few weeks and it’s paid off already, and hopefully will save many more loved pets in the future,’ a spokesperson for Newton Abbot Fire Station said. 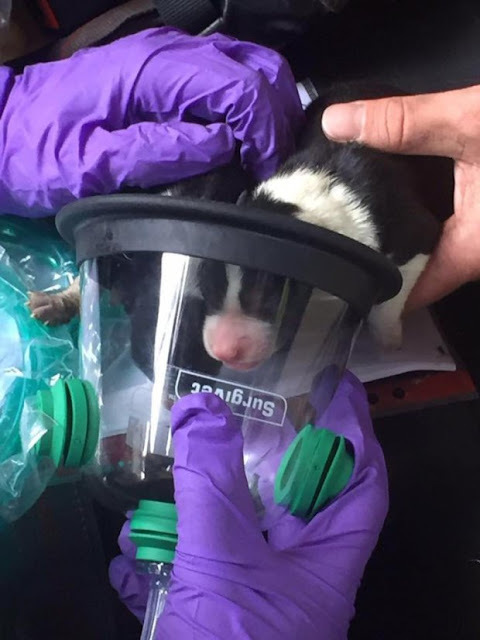 Responses to "Firefighters Rescue Amazingly Cute Puppies From Barn Fire"